As of 31-March-2013, China Mobile was serving 726.31 million customers, up by about 16 million customers over the past three months. However, ARPU fell to RMB 63 (US$10.19) compared to RMB 71 during the preceding quarter. 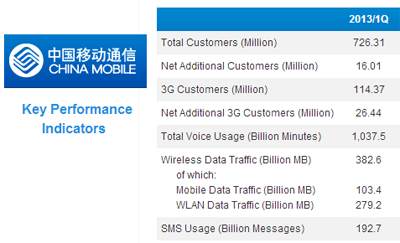 The number of 3G customers reached 114 million. The carrier said it continues to observe and increasing trend of "one customer with multiple SIM cards." The company reported Q1 2013 revenue of RMB134.7 billion (US$21.6 billion), up by 5.7% over the same period of last year. EBITDA came in at RMB61.2 billion, up by 0.8% over the same period of last year. traditional communication business by new technologies and new businesses. Wireless data traffic in Q1 2013 increased by 1.6 times compared to the same period of last year. Xtera Communications introduced a next-generation optical repeater for extending high-capacity reach on subsea cable systems. Xtera is leveraging a modular optical design to allow the amplifiers to be tailored to different system requirements, with variants covering both short regional systems and very long transoceanic systems. One variant offers an optical bandwidth extending well beyond the normal EDFA C-band. Xtera said its new repeater is constructed from marine grade titanium, resulting in a very light and exceptionally strong unit that can be deployed to water depths of 8 km. It is also sufficiently small that it can pass directly through a plough during burial operations – making it easier to handle during laying and assembling. 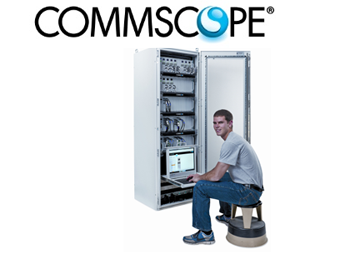 CommScope introduced a version of its ION platform aimed at reducing the complexity out of integrating a distributed antenna system (DAS) into a macro wireless network. “The ION-U has built-in intelligence that greatly simplifies installation, transforming a job that required considerable expertise into a relatively easy task,” said Matt Melester, senior vice president and general manager, Distributed Coverage and Capacity Solutions, CommScope. 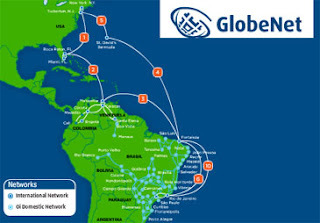 GlobeNet, a wholly owned subsidiary of Oi (formerly Brasil Telecom), completed construction on its new high capacity subsea cable system (Segment 5), which connects Bermuda to New Jersey. The new subsea cable system has a total design capacity of 30 Tbps. It is designed to support 150 wavelengths per fiber-pair at 100 Gbps per wavelength. As an integral part of GlobeNet’s dual-ring subsea cable system, Segment 5 has the largest cross-sectional capacity per fiber pair of any system built or contracted to date. The Segment 5 system includes the use of TE SubCom Submarine Line Terminating Equipment (SLTE), which allows transmission of multiple high-quality, high-bandwidth optical signals over ultra-long distances. Ixia introduced an upgraded version of its Anue Net Tool Optimizer for providing network visibility into physical and virtual networks. The upgrade enables large enterprises and mobile carriers to monitor the increasing number of 100GbE network ports with existing 1, 10 and 40GbE monitoring tools. Up to four of the new 100GbE interface modules can be supported on one high-density Anue NTO device, or may be combined with 1, 10 or 40GbE ports in a single 2RU chassis. In addition, the release of the Network Visibility Operating System (NVOS) v3.8 and the 100GbE Interface Module supports new capabilities that improve forensic analysis capabilities, advance application performance monitoring and simplify security monitoring of 100GbE networks. Ixia said this multi-speed monitoring capability helps companies preserve their previous investments in network visibility tools. OFS introduced a new single-mode fiber designed for 100 Gbps coherent transport in submarine systems for distances up to 12,000 km. The new TeraWave ULA Ocean Fiber boasts the industry’s largest effective area, excellent cabling performance, and significantly reduced attenuation for reliable coherent transmission at 100 Gbps over trans-oceanic distances. OFS said its fiber’s very large effective area (153 µm2) reduces nonlinearities, enabling the launch of higher signal power into the span, and improves signal loss (0.176 dB/km at 1550 nm). When used in shorter length applications, the fiber can provide even better nonlinearity performance for increased spectral efficiency. OFS said the new fiber is optimized for ultra long haul networks that use advanced modulation formats and coherent detection, such as transoceanic networks where extreme distances between shore end terminals limit the per-channel launch power in DWDM transmission. 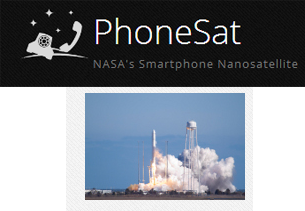 NASA has successfully launched a trio of "PhoneSats" to determine whether a consumer-grade smartphone can be used as the main flight avionics of a capable, yet very inexpensive, satellite. NASA's PhoneSats are currently in orbit and successfully transmitting information about their health to multiple ground stations on Earth. The satellites, which are expected to remain in orbit for as long as two weeks, are being monitored by a team at the Ames Research Center in Moffett Field, California. NASA said the three PhoneSat satellites are emitting packets over the amateur radio band at 437.425 MHz using AFSK (1200 bps) modulation, AX.25 packet coding and with vertical linear polarization. "Smartphones offer a wealth of potential capabilities for flying small, low-cost, powerful satellites for atmospheric or Earth science, communications, or other space-born applications. They also may open space to a whole new generation of commercial, academic and citizen-space users," said Michael Gazarik, NASA's associate administrator for space technology in Washington.